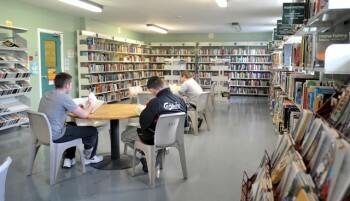 A library is available in each prison. Library services are generally provided in partnership with the relevant local authorities. Prison officers have a key role in facilitating the availability of services in the evening and at weekends. The library service tries to reflect the material available in the wider community, including books available in languages other than English, audio books and easy reader materials.